Being pregnant is the most beautiful phase in a women’s life, this is when she gets all the love and pamper from the family. 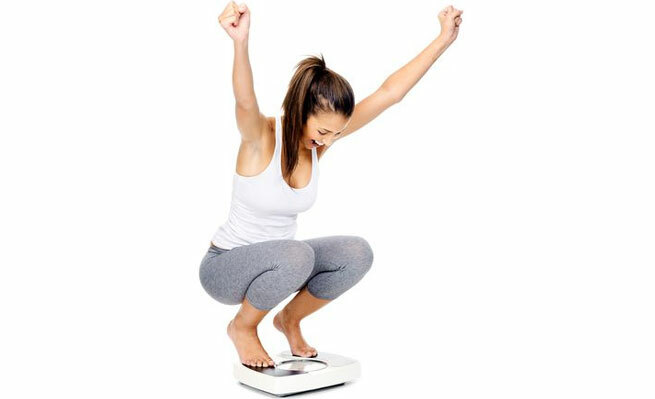 She will be made to have everything that she loves and that too double the regular quantity, the result- weight gain!! Post pregnancy weight loss is the first thing that’s on every woman’s mind. Weight gain during pregnancy affects the mother in many ways. It affects her self confidence to the core leading to depression or other issues. There are many ways to lose those extra pounds gained during pregnancy however the safest has to be Ayurvedic remedies. Reason being there are no side effects with these remedies so it happens to be the safest option. Ayurveda, because it ensures to offer the safest as well as the most effective care keeping in mind the condition post pregnancy. Weight loss post pregnancy is different because the body of a women post pregnancy is vulnerable to many issues, so the weight loss program has to be done keeping up the requirements of the mother. Ayurveda advocates weight loss solution depending on natural weight loss and the effects of the treatment are for a long term. Ayurvedic fat loss program requires one to maintain a much regulated diet plan- a diet which will comprise of sparing meal in combination with various juices. Honey and lime: Morning should start with a glass of honey and lime in warm water. Wholesome and healthy Breakfast: Sprouts in combination with non fat milk are ideal for breakfast. After 2 hours: Have a glass of juice preferably orange, pineapple or carrot. Lunch: Lunch will comprise of vegetable salad, an ensemble of boiled vegetables along with fresh buttermilk seasoned with cumin seeds, and garnished with ginger and coriander seeds. After 2 hours: Fresh vegetable soup or coconut water or lemon tea along with some dry fruits. Dinner before 8: Early dinner is very important for digestion. Dinner will include steamed vegetables, seasonal fruits minus banana and apple. 1. Tulasi, Garcinia, Gokshura Seed, Rhubarb,Triphala, Shilajit, Licorice, Guggulu, Bhibitakiare are the names of the herbs which are used in Ayurvedic weight loss potions. The flower, leaves and stems of the herbs can be extracted to make juice. It can be done by grinding it into paste form and then tie it in muslin cloth to squeeze out the juice. 2. The herb that needs to be powdered has to be dried in the sun or shade as per requirement and powdered and stored in airtight container. 3. Ashwagandha is a very popular herb used in Ayurveda. This herb is known for its strong antioxidant property. It improves the metabolic rate of our body by cleansing out the free radicals from the body. 4. Apart from the herbs there are certain ayurvedic massages which are very much effective for weight loss post pregnancy. Shathayu Ayurveda is one toning massage especially for new mothers that include medicated steams, medicines and warm oil. 5. Abhyangam- The whole body massage for 45 minutes with special oil is also very much effective for post pregnancy weight loss. 6. For intake, Ayurveda also prescribes a detox tea which is very useful for weight loss. The ingredients for this detox tea are whole cumin seeds, whole coriander seeds and whole fennel seeds. Take half teaspoons of each and add them to 4 to 5 cups of boiling water and let them boil for another 5 minutes. Once done strain out the seeds and pour the liquid into the thermos and keep sipping it throughout the day. This detox tea basically breaks down the fat, cleanses the whole system and improves digestion. Ayurveda has been providing long term solutions for all kind of health problems. Weight loss remedies provided by ayurveda also does the same without any negative consequence to the health.